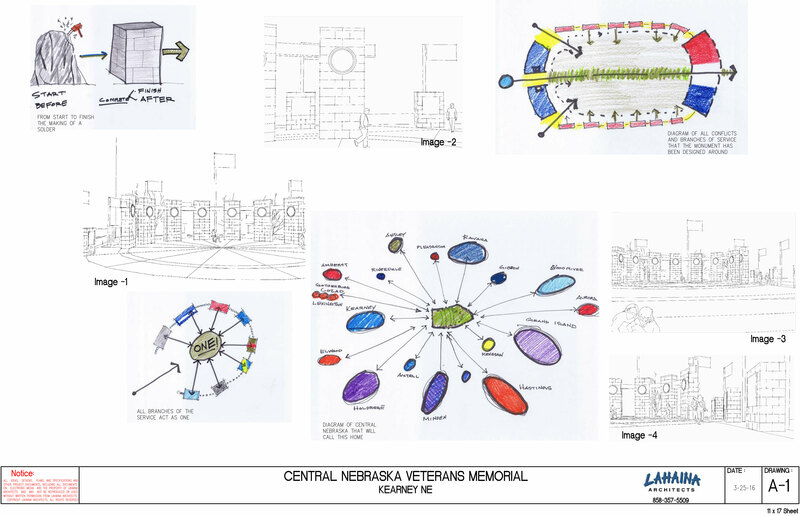 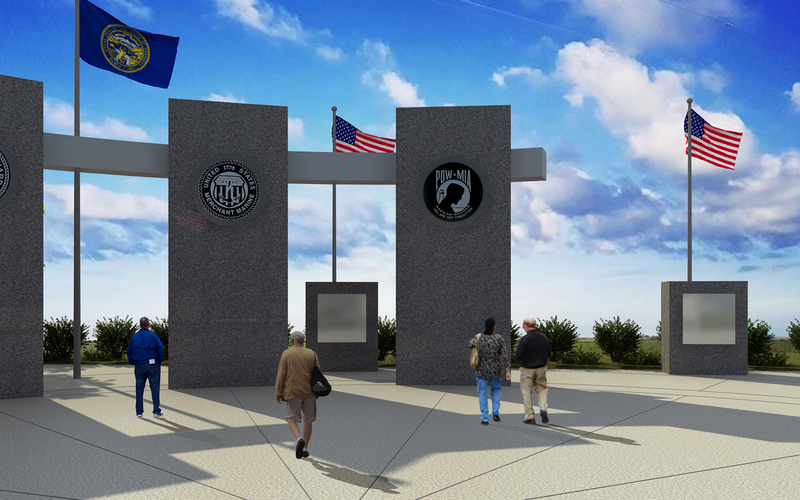 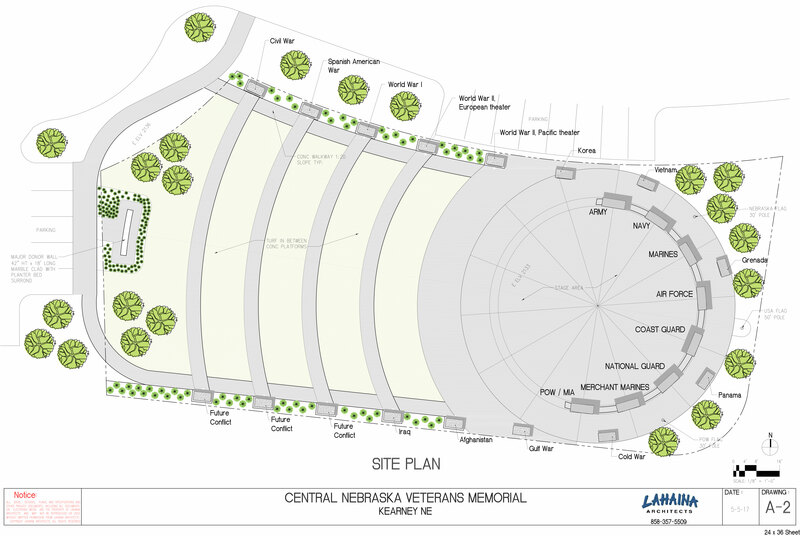 Memorial is to be incorporated into the Central Nebraska Veterans Home located in Kearny, NE. 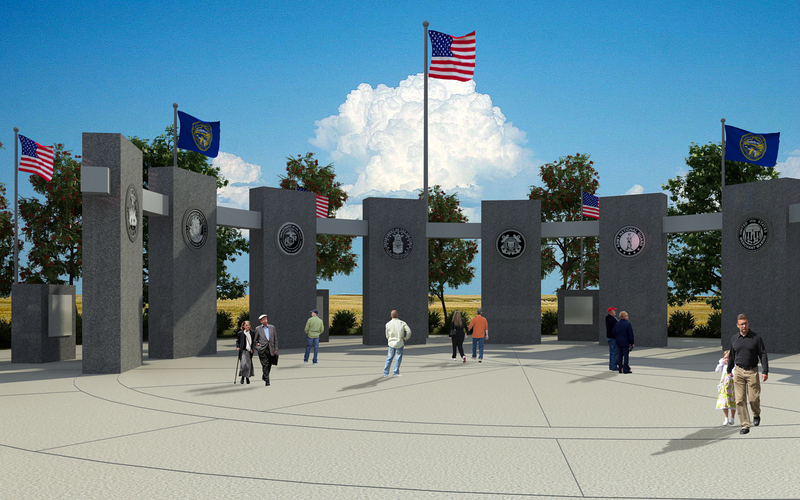 The memorial consists of eight 16 feet tall “Service” monuments that represents the branches of service. 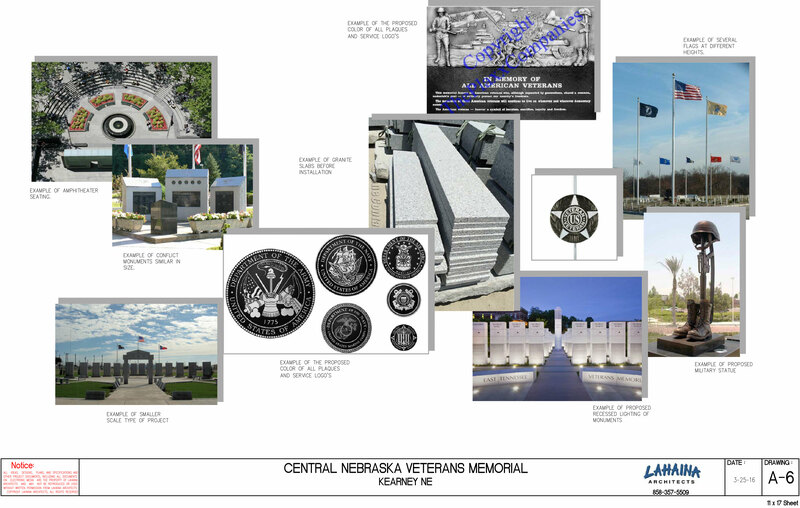 Sixteen conflict pillars representing conflicts from civil war to present day conflicts. 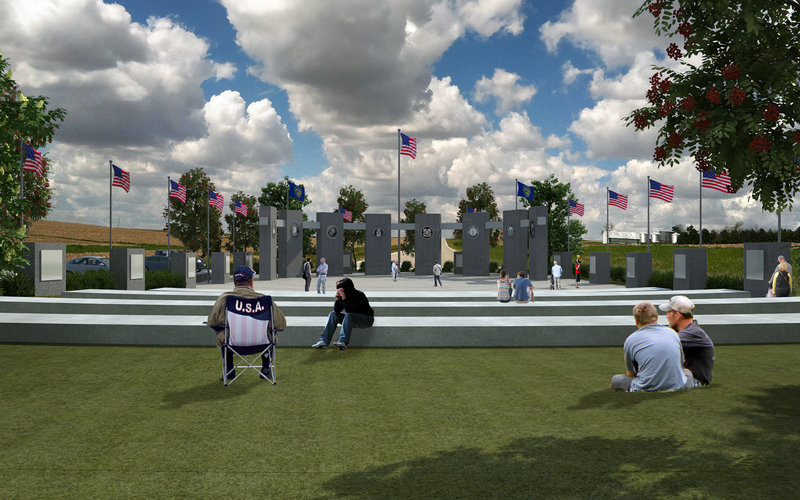 The theme of the monument “Shoulder to Shoulder” comes from the metal box beam connecting all service pillars together. 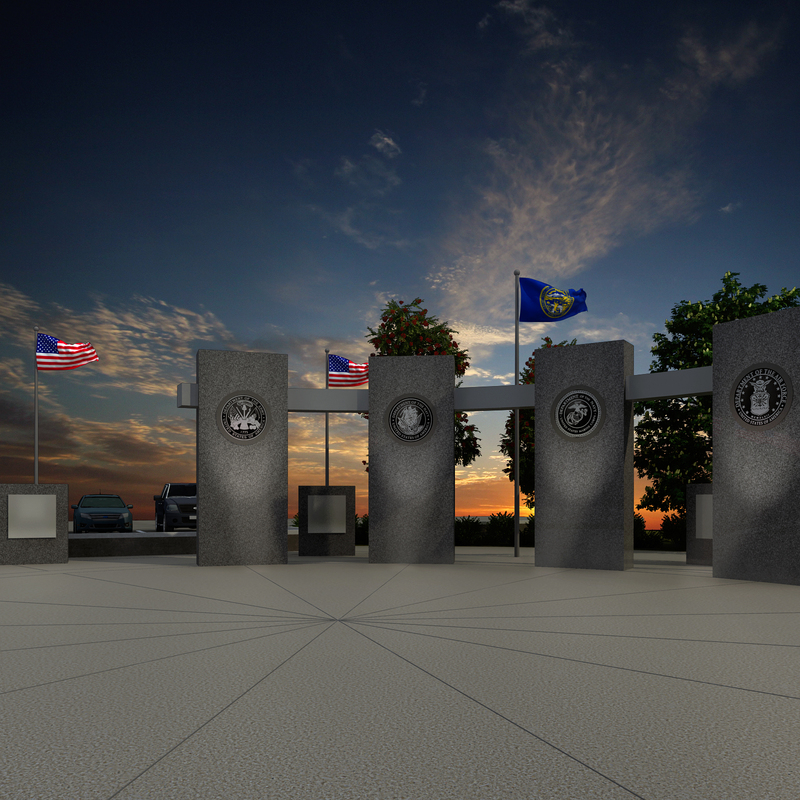 South Dakota granite clads all service and conflict moments.